Frankfurt airport parking at ParkVia offers you cheaper alternatives to the official airport car parks. Our private car parks offer cheap, secure and reliable car parking services at Frankfurt Main airport and also include free transfers or convenient Meet and Greet services. Whether you require a parking space for just a couple of days or for several weeks, at ParkVia you can find a wide range of services to suit your requirements. From open air parking to undercover parking, free transfers to Meet and Greet service - everything you could ask for is available for you to choose. Why wait and search for a parking space on the day you are travelling when you can book your parking online in just a few simple steps? ParkVia gives you the option to book your Frankfurt airport parking in advance so you can travel in peace knowing that you have a parking space waiting for you. Frankfurt Airport is operated by Fraport and serves as the main hub for Lufthansa. It is located in the Frankfurt/Rhine-Main region, approximately 12 km away from central Frankfurt. The airlines operating from this airport include Air Berlin, Condor, Germania, Lufthansa and SunExpress. 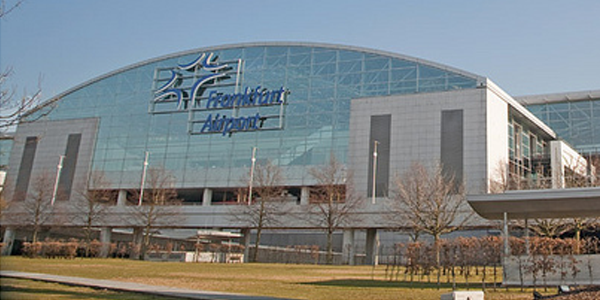 Frankfurt Main Airport is a major international airport and the busiest German airport in terms of passenger numbers. It is the third busiest airport in Europe after London-Heathrow and Paris Charles de Gaulle.